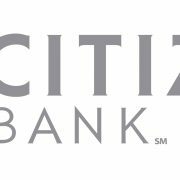 The School of Management is partnering with Citizens bank to offer an internship program. The interview process for the program was held in April with ten students chosen for internship positions. Students with majors in Accounting, Finance, International Business and Marketing will participate in the intense training program May 14 through September 1. Click here to read more from University of Michigan-Flint News. Click here to read the article featured on MLive. Michelle Tolin, a BBA alumn was presented with the Detroit Chapter of the Institute of Internal Auditors Scholarship Award. Qualified candidates submitted a three-page essay on the following topic: Discuss the benefits of using social media in the internal audit process and provide specific examples. Michelle is the first student from U-M Flint to submit an essay. 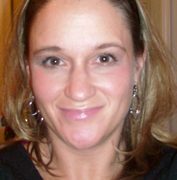 Michelle received a bachelor’s degree in business administration with a concentration in Accounting and a GPA of 3.81. She is the national reporter for Beta Alpha Psi and will be the incoming Treasurer. She is also a member of Beta Gamma Sigma. She also volunteered with VITA and various food banks. 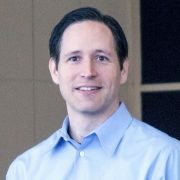 SOM Professor of Finance, Dr. Mark Perry, was invited to testify in front of the U.S. House of Representative’s Committee on Oversight and Government Reform hearning on May 31, 2012 on the topic of “Rhetoric vs. Reality: Does President Obama Really Support an “All-of-the-Above Energy Strategy?”. Click here to view the entire hearing. Click here to view Dr. Perry’s testimony. Click here for Dr. Perry’s full written testimony. 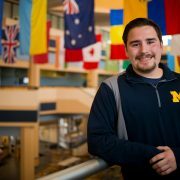 The University of Michigan-Flint School of Management (SOM) is excited to offer a Master of Science in Accounting (MSA) program for graduate students. The MSA program is designed to successfully prepare students for advanced careers in accounting. The MSA program enables students to fulfill the 150 credit hours required to become a Certified Public Accountant (CPA), and prepares them to successfully complete the exam. Students will graduate from the program with a superior understanding of accounting concepts and procedures. “We look forward to offering the Master of Science in Accounting program at the University of Michigan-Flint. We’re excited about enhancing our program offerings to prepare students to become certified public accountants as well as work in other rewarding careers in accounting and business,” states Dr. Keith Moreland, Professor of Accounting. The MSA program is taught in the NetPlus! format. NetPlus! is an innovative, mixed-mode program that blends the personal interaction of traditional classroom activities with the anytime, anywhere convenience of modern online learning making it accessible to busy students from a wide range of geographic areas. Applications are now being accepted for Fall 2012. For more information on the MSA program click here. 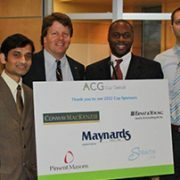 On Saturday, January 28, 2012, three teams of MBA students faced-off against each other by presenting their analyses of a merger and acquisition case to an expert panel of M&A professionals during first round of the ACG Cup competition. In what was called, “the best and closest competition in its three year history at UM-Flint” by lead judge Michael D. Malaga the team consisting of Xiaoyi Chen, Jaylen Etefia, Damir Galic, and Masih Siddiqui pulled out a narrow victory over their competitors. Along with the satisfaction of winning, Xiaoyi, Jaylen, Damir and Masih will share a $1000 scholarship and go on to represent UM-Flint’s School of Management on February 11 during the regional ACG Cup Championship to be held at Wayne State in Detroit. Our students will be competing against teams of MBAs from UM’s Ross School, MSU’s Broad School and others as they vie for the $5000 first prize scholarship. Tuttle noted that this year’s competition was part of a two-pronged approach to qualifying the MGT 589 Strategic Management MBA capstone course as a civically engaged course. “Aside from providing students with a very realistic case study judged by highly experienced professionals, each team was provided with three hours of mentoring over a two-week period by a member of a M&A professionals group. 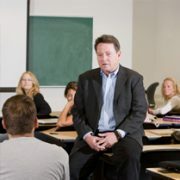 This kind of exposure is invaluable in preparing our students for successful careers post graduation.” In addition to the ACG Cup, MGT 589 students will taking part in a Community One project, analyzing the competitive positioning of a local business, meeting with its owner, and presenting their findings and recommendations at the end of the semester. 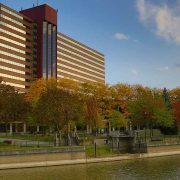 The School of Management Moves to Riverfront! https://blogs.umflint.edu/som/wp-content/uploads/sites/45/2016/06/riverfront.jpg 360 540 HELEN LUND http://blogs.umflint.edu/som/wp-content/uploads/sites/45/2016/06/Official.SOM_.Horz_.Signature.large_-300x68.png HELEN LUND2012-01-04 19:30:362016-06-09 19:33:41The School of Management Moves to Riverfront!